Suppose you want to balance a ruler horizontally on your finger. To to this you’ll likely place your finger in the middle of the ruler, so that half is on one side and half on the other. Intuitively, you recognize that the middle makes both sides symmetrical, which is why you put your finger there. In other words there is a connection between the symmetry of the ruler and the physics of balance. Symmetry is something we all tend to recognize, but probably find hard to quantify. Things like mirror symmetry are easy to describe, but what about the image above. It gives a feeling of symmetry, but exactly how would you describe it? In the same way, we generally have an intuitive feel for the way symmetry is related to the physical world, such as balancing a ruler on our finger, but quantifying that connection is difficult. 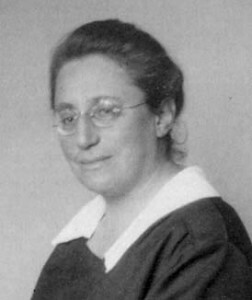 This is why Emmy Noether should probably be put in the same group as Isaac Newton and Albert Einstein as one of the greatest physicists who ever lived, because in 1918 she published an elegant and mathematically precise connection between symmetry and physics. It is now known as Noether’s Theorem, and it is so subtle and powerful it is hard to describe without mathematical formalism. In physics, symmetry is the ability to change a part of a system while the whole remains the same. As an example, imagine if you were standing on a perfectly flat surface that extends as far as you can see. If you were to close your eyes, take one step forward, then open your eyes, it would appear that nothing has changed. You have moved forward (a change), but the surface appears unchanged (symmetry). Through Noether’s theorem, such a symmetry of linear motion is connected to the fact that an object in motion will continue that motion unless something acts on it, what we call conservation of linear momentum. In the same way, if you were to close your eyes, turn to the left or right a bit, then open your eyes again, the surface would appear unchanged. This symmetry in rotation is connected to fact that a rotating object like the Earth will continue to rotate, which we call conservation of angular momentum. But Noether didn’t just show these simple connections, she showed in general how every conservation law in physics is connected to a physical symmetry. Conservation in energy connects to a symmetry in time, conservation of charge to a symmetry in gauge, and on and on. 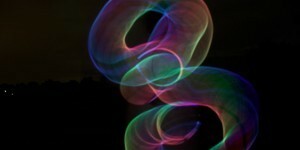 It is a connection that lies at the heart of every modern physical theory, and has deepened our understanding of earlier theories such as Newton’s mechanics and Einstein’s relativity. Emmy Noether single-handedly revolutionized the way we understand physical theories. Despite this fact, Noether is not widely known outside the physics and mathematics community. Part of this is due to the fact that her work revolutionized existing physical theories rather than being a physical theory in its own right, but another reason is that she was a woman at a time when the work of women was often marginalized. Despite her world-class work, she struggled against discrimination in her field, and received a fraction of the recognition she deserved. Although things have gotten better for women in the sciences, it isn’t quite what you would consider fully balanced. So the next time you read about the discovery of cosmic inflation, or the search for supersymmetric particles, or the development of a theory of everything, think of Emmy Noether, and her theorem that lies at the heart of all of these ideas. And remember that the sciences could always use a little more symmetry. My Uncle Roger Newton was also in this same category. He was kind of a math genius when his specialist thesis posed the assertion that what would you see if you had a telescope that could see infinity. Some of his real third level details used walking on a straight line on the earth (if possible) that you would come back to the point where you started at. His conclusion to the original graduate thesis statement that if you had a telescope that could see infinity that you would see the back of your head! On a personal and like note that I read in a Harvard review that a P.H.D. professor stated the analysis is extremely important process, but we must integrate heuristics and rule of thumb into mathematics because these trump any analysis! Analysis is only the thread. Learning everything that can be learned about any and all subjects and generating things that people can put their hands on (rule of thumb) could be the beginnings of a new 21st century technological mathematical artisans class. 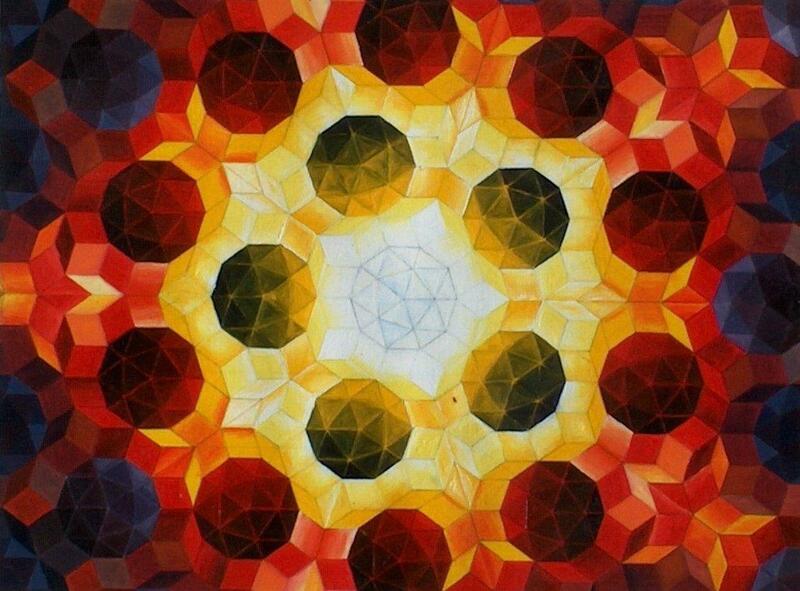 A deep level class of cosmic math navigators that use math as their new multiverse.